Earth/dirt/soil and compresses it tightly to make solid blocks useful for building. Earth Block Making Machine have many advantages as a building material: by making the building materials from the readily available dirt on the building site, they eliminate the need to transport bricks from elsewhere, reducing financial cost and environmental impact. Earth Block Making Machine are very strong and insulate well against both heat and sound, making for very energy-efficient building (especially combined with the energy savings from not needing to transport them from offsite). Best of all, the material they use is already on-site and does not need to be purchased. 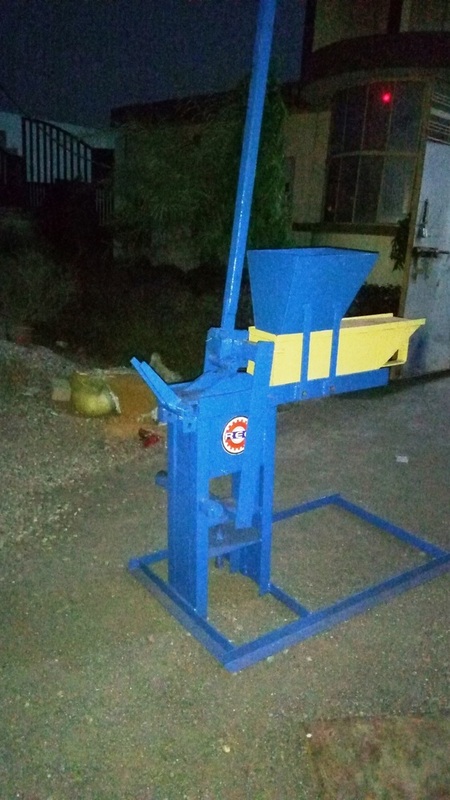 Why Buy Our Earth Block Making Machine? Solid blocks from soil or dirt along with cement can be made using our offered machine in bulk quantity. As dirt is easily available on site, it becomes easier to make blocks, that too at cost-effective price. The durable compressed blocks produced have excellent heat and sound insulation properties. Constructors and builders use these blocks to build energy efficient buildings. This small earth block making machine is easier to operate and doesn't need at power for the same. The resultant blocks are interlocking, which eliminates the need for mortar when building.